You may donate online (both Paypal and credit card donations). Or you may choose to support us with a check. Click below for more info on both. 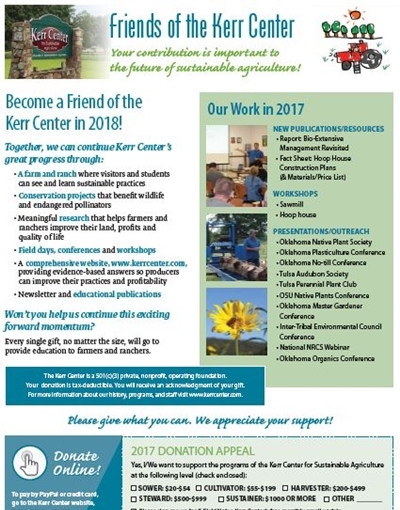 If you have benefitted from a Kerr Center educational event, publication, or webpage, please consider donating and becoming a Friend of the Kerr Center. It’s easy to get involved and show your support. All donations are tax-deductible. We appreciate all donations, no matter what the level. You can also make a donation in memory of a loved one. 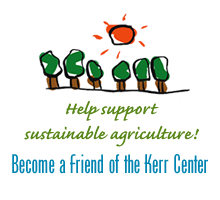 Please join us in building a sustainable world for our children and grandchildren!